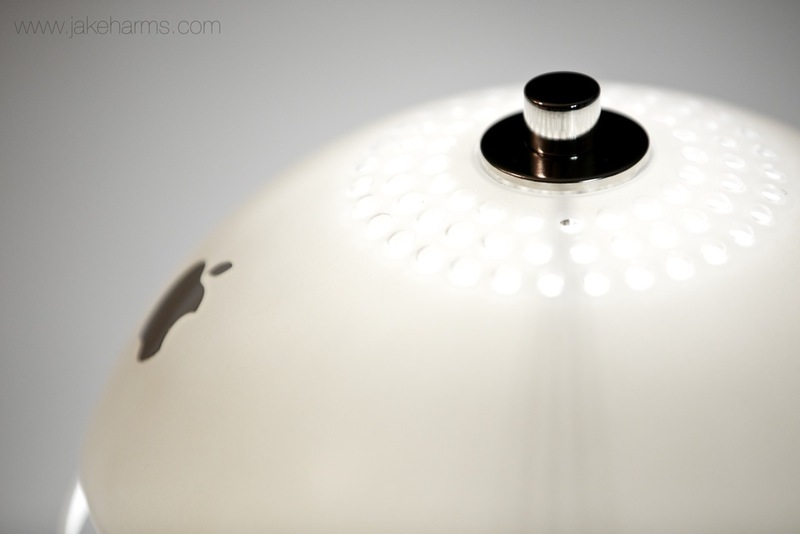 You will receive a finished iLamp. 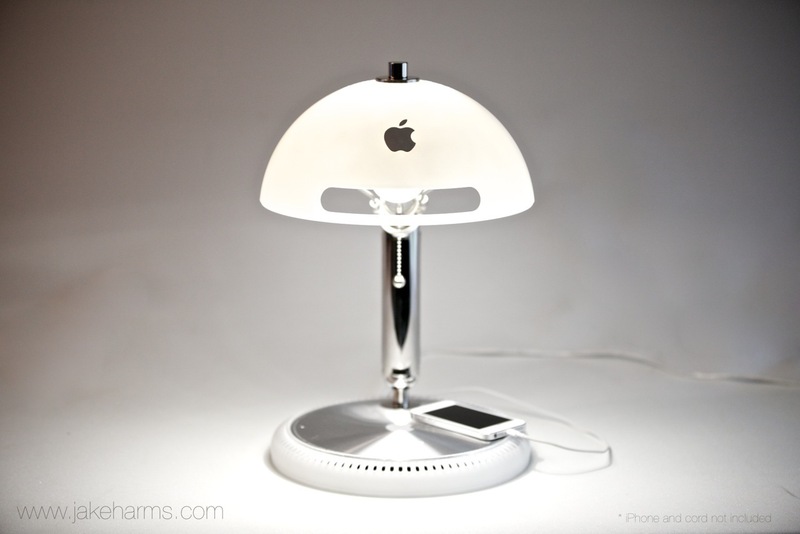 Each iLamp is made out of a G4 Apple iMac. 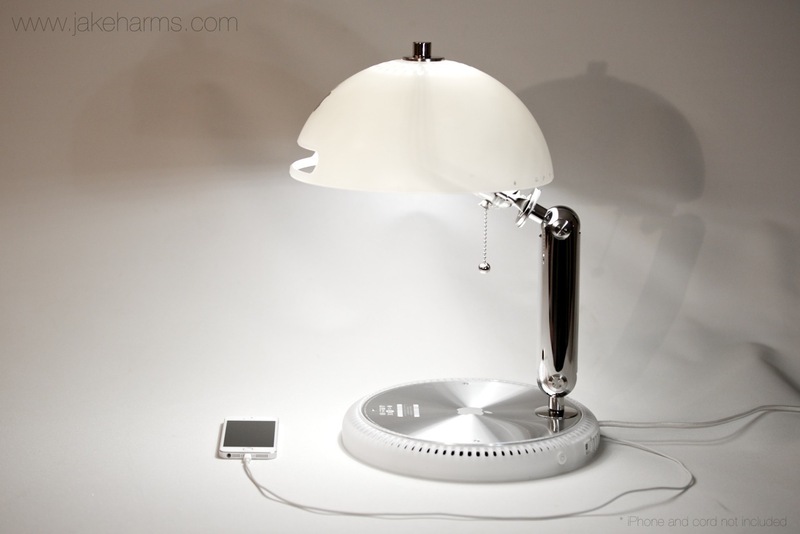 It features a LED bulb switched by a classic pull chain, and powered USB port. See below for full list of features.  When you select "Add to Cart" you will be directed to PayPal to sign in and review your order. Click "Continue Shopping" to add more items to your order such as a matching mouse and keyboard or a clock or an iMacAquarium. Bofore you order please review the list of features below and feel free to ​ email me with any further questions. International shipping is available and may be subject to customs fees or VAT upon receipt. Items operate on US standard electrical plug and 110/120 volts. 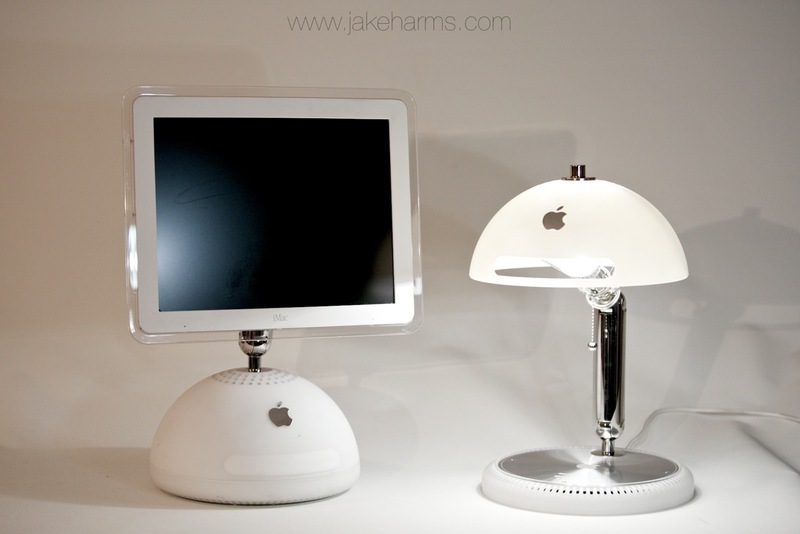 This is a G4 "Sunflower" iMac which I have rebuilt into a lamp. 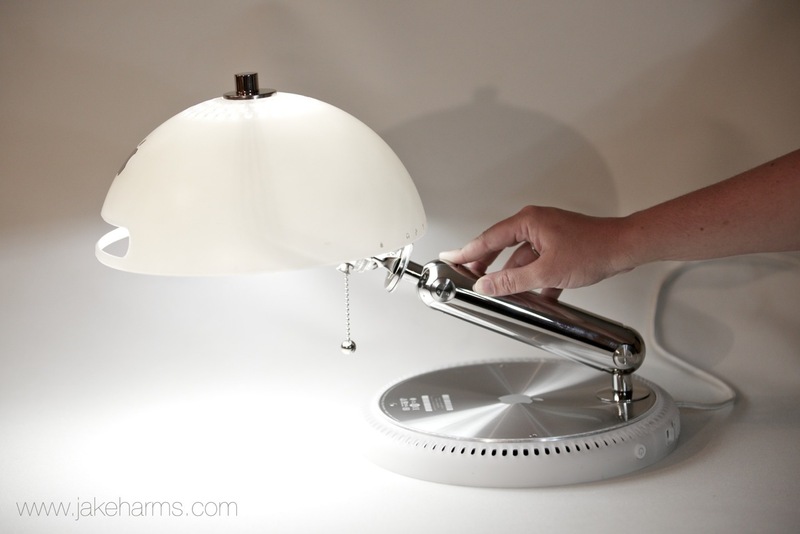 It uses an LED light bulb which is turned on and off by a classic pull chain. 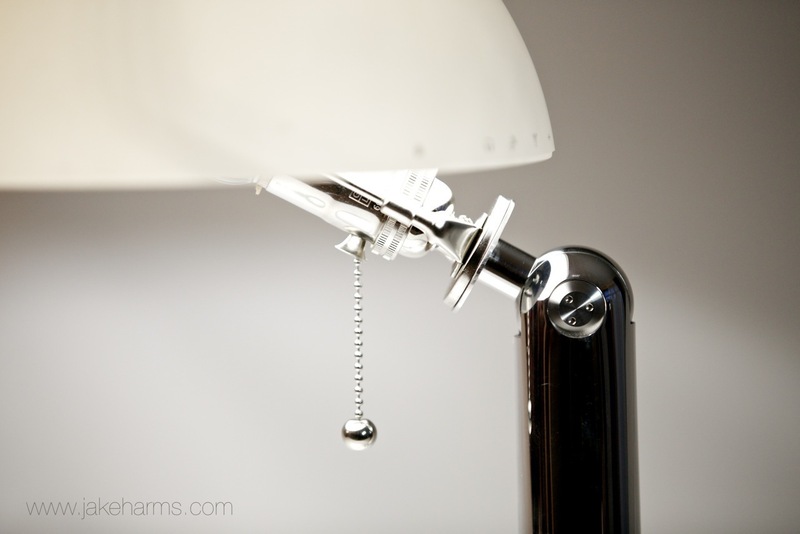 The shade mounted on the chrome arm tilts and swivels just as the LCD screen used to. I've built a powered USB port into the base of the stand so an iPhone, iPod, or iPad Mini can be charged. It is simply beautiful and is my favorite creation. I've only built 40 of these lamps so they are a very special item. Visit the FAQ Page and Gallery for more stuff! iMac pieces are buffed and polished to look as new as possible. LED light bulb with pure white color temp of 4100K. Genuine Apple USB charger built into base. Use your own USB cable to charge iPhones, iPods, or iPad Mini. 8 foot braided fabric power cord. Polished nickel chain, socket, harp, cap, and other hardware. Refinished baseplate to remove scratches and lettering/barcode. Recessed Apple emblem is sand blasted back to original look.